Snow Biste can come to you. It’s designed to be portable and requires only a 20’x15’ space to operate. Our corporate events and classes are fun, fast, easy to access and healthy. Do you have a client appreciation, team building or special event coming up? Rent the MOBILE Snow Biste and have some fun! Skiing and snowboarding is a great way to bring people together at an event. We deliver and manage the machine with everything you need. It’s a year-round attraction that will surprise and delight at your company picnic. We also have corporate rates so that employees can maximize their free time. Getting educated in our Reno Learning Center is fast and easy, so that when they do eventually get out of work to enjoy our Sierra Mountains they are physically ready to optimize their limited fun time and carry all that goodness back to their job. Learning Session times are only 30 minutes and we provide all the equipment needed. Best yet, one session equates to a full day on the mountain. 5X Faster than learning directly on the mountain and much safer. Save Time and Money learning winter sports with the #BisteMethod ! It’s also an activity that both young and old can enjoy! But…don’t forget to have lots of food on hand because good clean exercise can build up quite an appetite! Surprise your employees and book the Snow Biste here. Many die-hard ski fans have their birthdays in the middle of summer. Skiing themed birthday parties have been little more than video games. Imagine the look on everyone’s face when the Snow Biste pulls up! 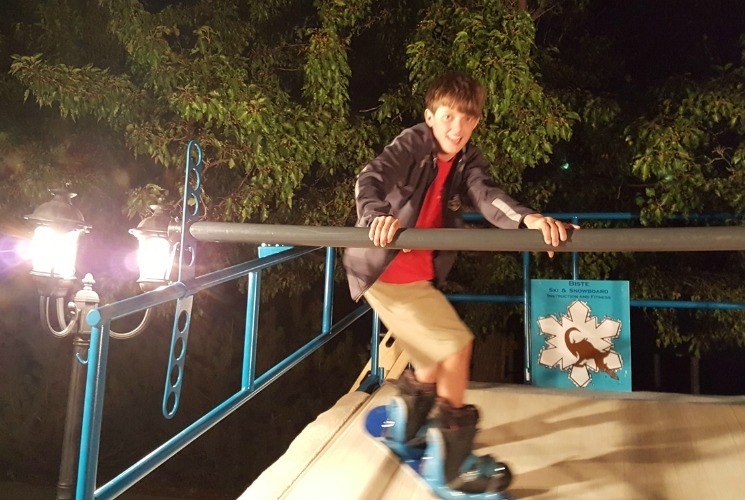 Children and adults both light up at the prospect of getting to try something new. The Snow Biste is more than just some entertainment rental. It requires no water, snow, or gels for its services. So, cleanup is as easy as unplugging it! Individual training and group training is available. Its deck is made of a soft padded track so anyone can enjoy skiing and snowboarding in the summer time. After a private day on the deck, you’ll be eligible to take lessons at a discounted rate. Children as young as four have learned how to descend our Snow Biste. No one stops smiling when it’s their turn to ski. Group fitness can accompany these private lessons too. -Snow Biste services are also available for fundraisers, church functions, schools etc. -Snow Biste services are also available for Fund Raisers, Church functions, schools etc. 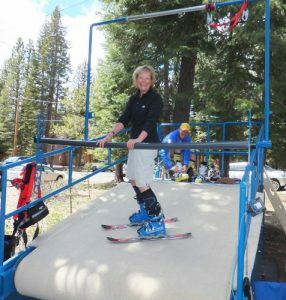 -Call for details on ski deck requirements and scheduling or click here.